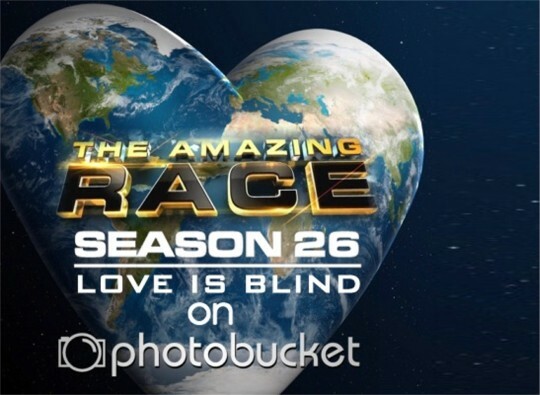 Recap: The Amazing Race 26, Episode 6 – "They're like nipping on our butts." We begin with a little look at the cause of Hayley & Blair’s tense Leg 5. They had gotten lost in Munich before even reaching the first task. Blair says while they have nothing invested in their possible relationship, they still have plenty invested in winning the Race. Aly & Steve open the first clue of the Leg revealing teams will be heading to Monaco. To get there, teams will fly to Nice, France. 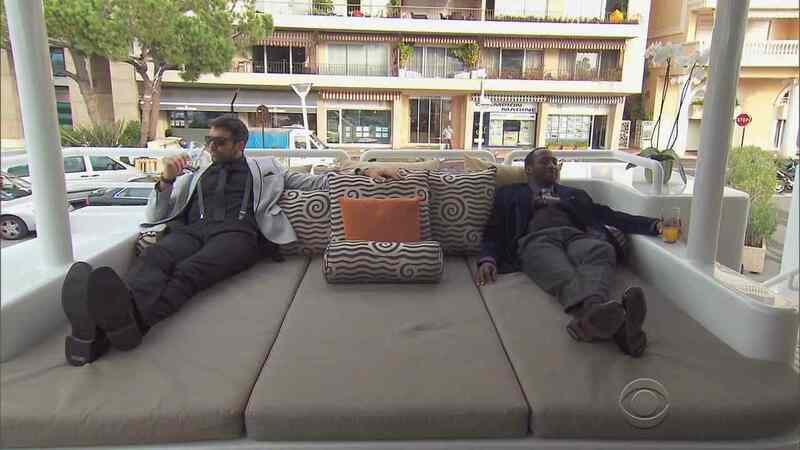 Once in Nice, teams must find Hotel Westminster where they will be professionally fitted for appropriate attire for their helicopter ride into Monaco. Aly & Steve head to the airport where they get on a flight arriving at 5:05pm. Matt & Ashley, in 2nd, get a flight arriving at 6:15pm. 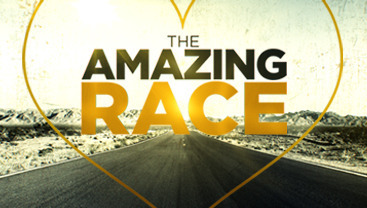 The next group of teams, Jeff & Jackie, Hayley & Blair, Jelani & Jenny and Laura & Tyler get on a flight arriving at 5:55pm. Mike & Rochelle, in last, buy tickets for an 8:45pm flight. On the way to their gate, they see Aly & Steve waiting and decide to give it a try. They manage to get themselves on the waiting list and eventually manage to get on that first flight. All teams are bunched up at the fitting location anyway where they try on dresses and suits and are given tickets to pick up the altered clothes tomorrow morning. Jeff & Jackie talk about how they’re probably the closest of the blind date couples. Laura wants to throw up. 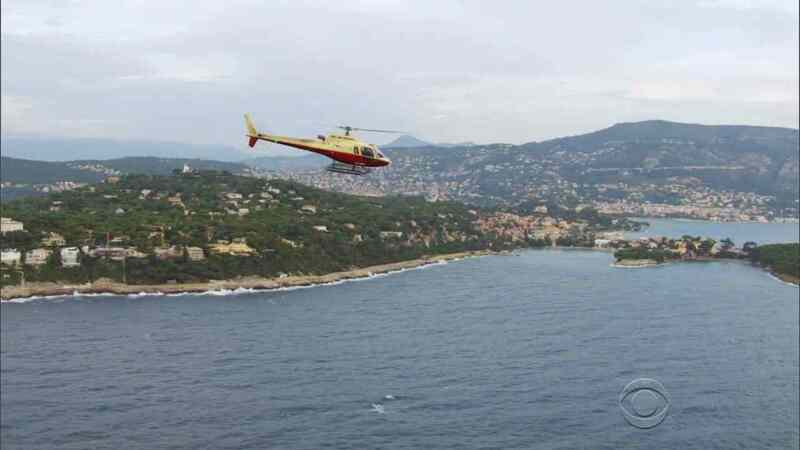 Next morning, each team gets their own helicopter to Monaco. Aly & Steve in first, find their clue right at the Monaco Heliport which reveals the Road Block: Who wants to treat their partner? 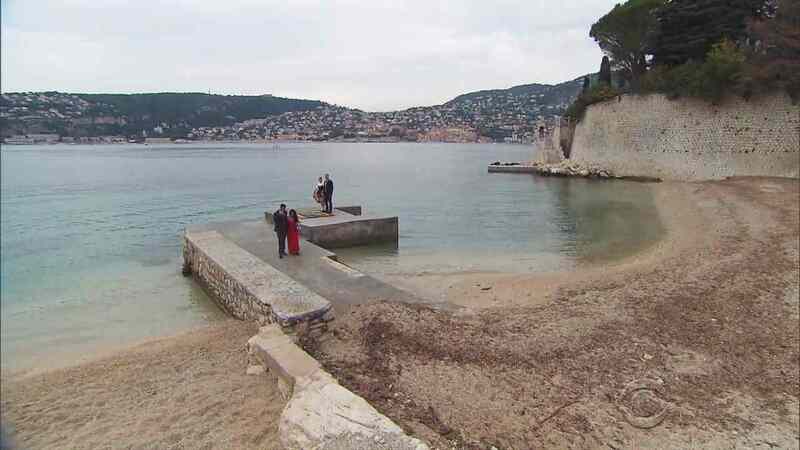 For this Road Block, teams will pick up two of Grace Kelly’s favorites, roses and chocolates, and deliver them on foot to their partners waiting on a yacht in Monaco Harbor. Steve, Mike, Jenny, Laura, Hayley, Jackie and Matt decide to do the Road Block. 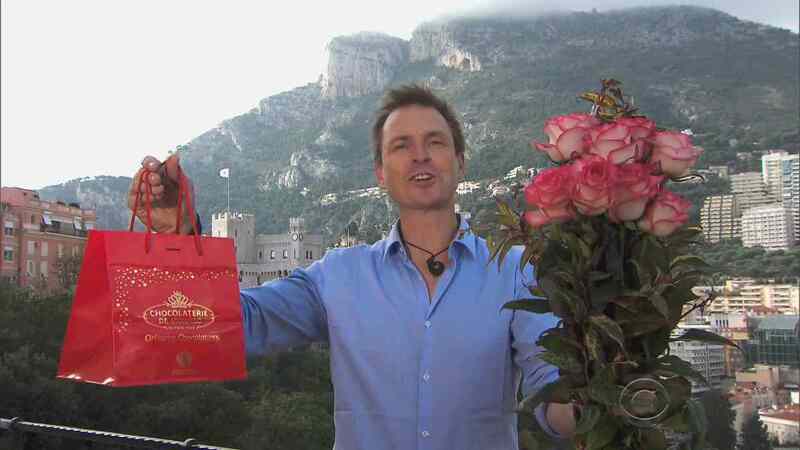 Teams must first find the flower cart at Le Jardin St. Martin then get the chocolates at Chocolaterie de Monaco. Jenny and Laura decide to work together. Steve keeps the lead as he gives Aly her presents. They open the next clue pointing them to Casino de Monte Carlo. 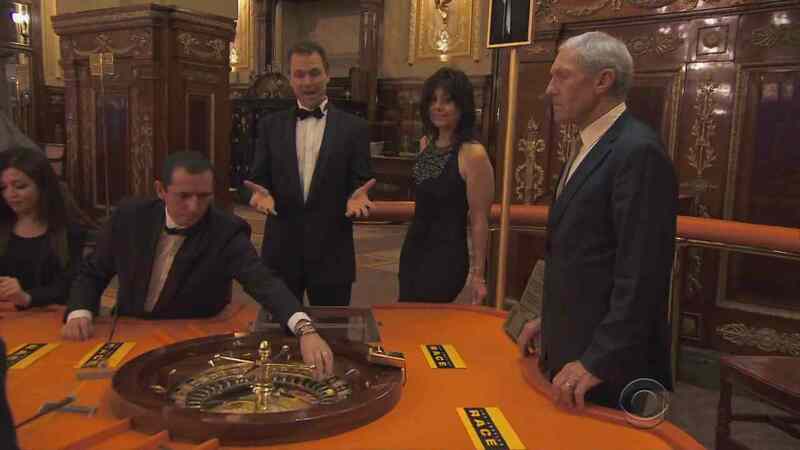 Here, teams will be led to the roulette table where the wheel will determine which side of the Detour they will complete. If the ball lands on black, they’ll do Win by a Nose. If red is their color, they’ll do Don’t Slack Off. Teams will pick up a Ford Fiesta from the valet to get themselves to either Detour. Aly & Steve, Mike & Rochelle and Laura & Tyler get black. Jelani & Jenny get red. Laura tells Tyler she has Jenny’s map, but they don’t tell them. And when Jenny looks for it later, she blames Jelani. 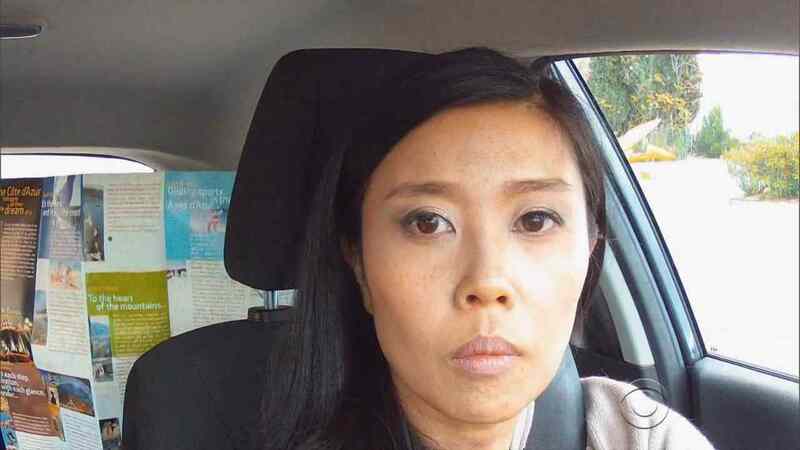 She decides to drive when Jelani doesn’t release the parking brake. Hayley & Blair get black, Jeff & Jackie and Matt & Ashley get red. Aly & Steve get lost on the way to the Church of Our Lady of the Assumption of Eze (L’Eglise Notre Dame de l’Assomption d’Eze), the location for Win by a Nose allowing Mike & Rochelle to arrive first. In Win by a Nose, teams will make bottles of signature perfume and cologne under the guidance of Fragonard Parfumeur. Given a list of ingredients, teams must match the original recipes. When the professional nose approves, they’ll get the next clue. 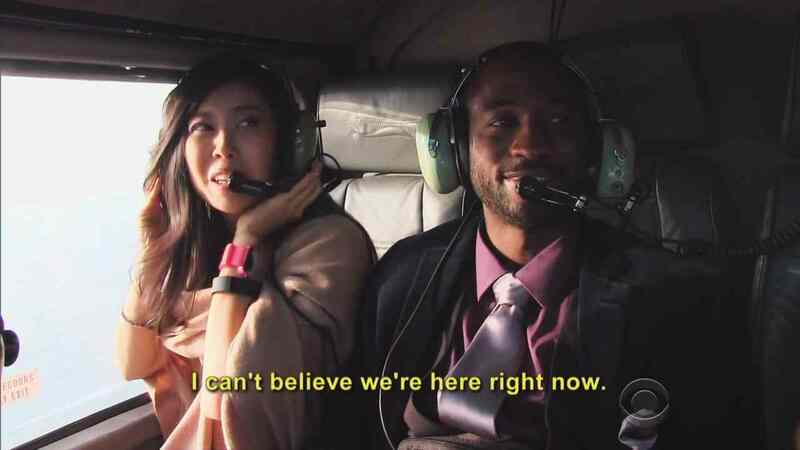 Meanwhile, Jelani & Jenny arrive at Don’t Slack Off. Here, they will zipline 2000 feet above the city and then walk the slack line back again to receive their next clue. Matt & Ashley are right behind them. Laura & Tyler, Hayley & Blair and Aly & Steve arrive at the church and get started. Hayley & Blair are feeling confident since they were both chemistry minors in college. 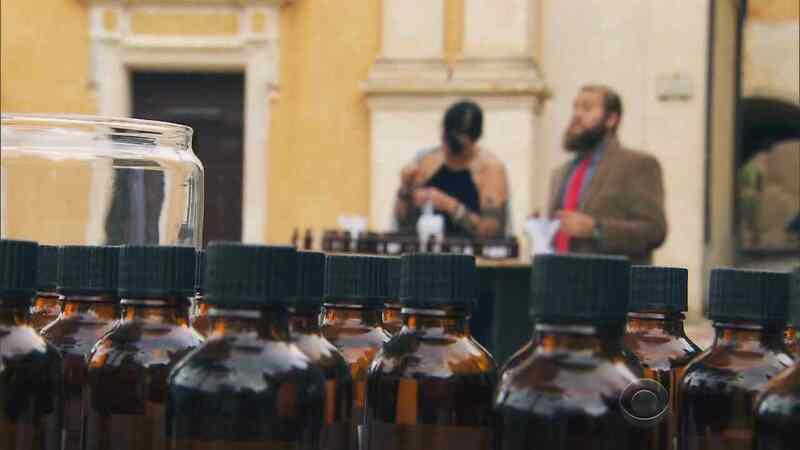 The teams realize that four of the ingredients are not labeled and must figure out which of the numbered bottles they are. Back at the zipline/slack line, Jelani & Jenny finish and open the last clue of the Leg directing them to the Pit Stop at Plage de Passable. Mike & Rochelle are done with their scents and bring them over for a check. Tyler says they’re such a weak team, he doesn’t care how far ahead they are. Rochelle’s perfume gets approved, but Mike’s cologne does not. Laura & Tyler are next and think their mixtures smell like a million bucks, but the pro says it smells like grass. At the other side of the Detour, Matt & Ashley finish next while Jackie speeds across the slack line to put them in 3rd. Back at the outdoor lab, Laura asks Hayley which bottle they think caramel is. Hayley tells them. Aly & Steve are the first team to get their fragrances approved, followed by Laura & Tyler and Hayley & Blair. Mike & Rochelle, the first team who arrived here, are now the last. All teams are now on their way to the Pit Stop, each one of them asking locals for directions. Things get tense for some teams. But not for Hayley & Blair who high five each other for not fighting at all today. In fact, they had some great chemistry all around and that gets them a first place win. They step on the Mat and Phil tells them they’ve won a trip to South Africa. Aly & Steve are 2nd and Mike & Rochele are 3rd. Jelani & (especially) Jenny are not happy as they’ve made a wrong turn. And now they’ve caught up to Matt & Ashley who were behind them at the Detour. Matt & Ashley finish 4th, Jelani & Jenny take 5th and Laura & Tyler are 6th. 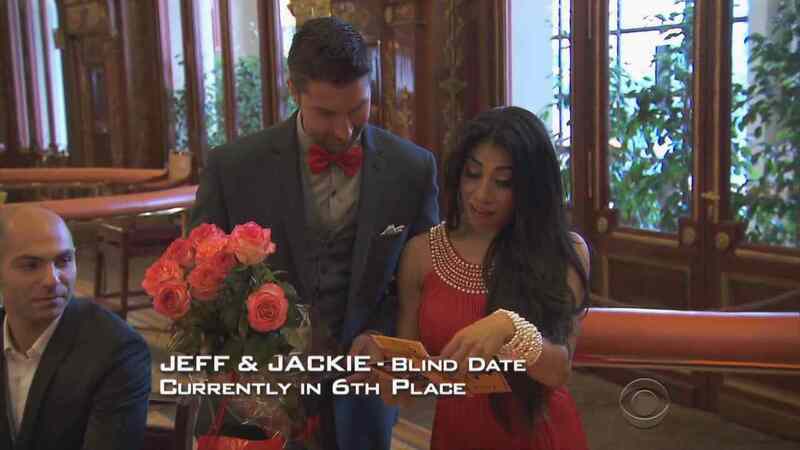 That means Jeff & Jackie are last and eliminated. I thought this was a pretty good Leg. Interesting how the tasks were pretty simple, yet the episode was so full that they crammed in the Mat stuff into the last 2 minutes. It was also interesting to include some footage from last Leg, though I really did feel like we were missing some context for the tension between Hayley & Blair last episode. I guess it fit better here from a story standpoint to lead into their win. Great to finally visit Monaco. And I think they did a pretty good job showing off the city and using its reputation as a very swanky, bijou, sosyal place. The Road Block and even including Grace Kelly was good. 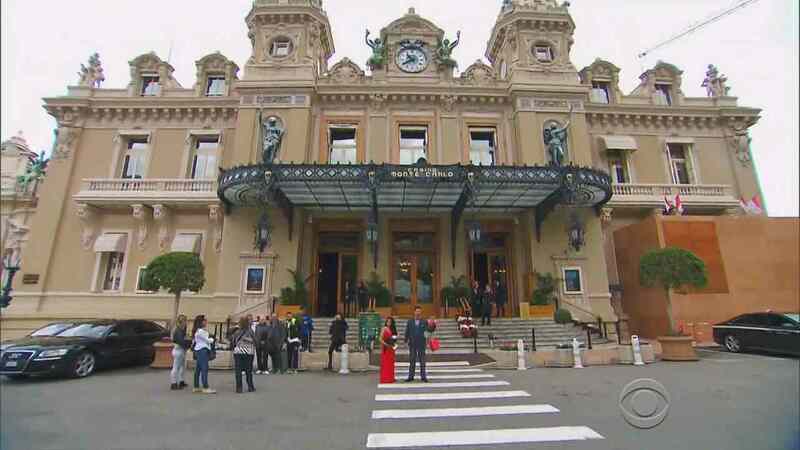 Visiting the Monte Carlo Casino was a must. And it was a creative way to incorporate a task there too with the Blind Detour twist from TAR25. About the roulette Detour though, would teams not have been able to switch? I doubt it, but considering all the trouble the teams had driving around such a small area, it probably would’ve been a bad idea to switch anyway. Both Detours were simple enough that even if they were forced to do whatever the roulette told them to, it wouldn’t have been too bad. Especially since the Leg was decided on navigation and not really any of the tasks. Overall, a pretty good episode and pretty good Leg in a very pretty city. But why wasn’t Phil wearing his tux all Leg? Hayley & Blair are just awesome fun, aren’t they? I always love teams who can do well, but still provide the drama and/or comedy. And #RxForLove showed that they can be that team. It was hilariously fun to see their chaotic last Leg and then see them with great “chemistry” this Leg. AND a win too. Awesome. Mike & Rochelle have had a pretty solid combination too. For them, a good combination of luck and actual skill. Their lackadaisical [/Ron] attitude in the last Leg was disappointing, but their airport luck and maintaining their lead to the Detour was great to see. Not to mention them apparently having much better navigational skills than half of the teams. I think they’re going to do fine in future Legs. The honeymoon is definitely over for Jelani & Jenny. It’s both tough and fun to see them struggling so much lately. I guess their win in the first Leg got them in a happy place, but that’s definitely long gone by now. I definitely hope they can step it up and pick themselves back up and get themselves back to the front of the pack. Aly & Steve and Matt & Ashley are still just alright. Though Ashley complaining about her dress while, we are led to assume, the designers were there came off too mean. But Laura & Tyler, this Leg especially, come across as kind of that jock-popular girl couple from high school. You know the type? It was definitely not fun seeing Tyler’s little snippy comment about Mike & Rochelle, but they’ve been ones to make little catty, snippy remarks in the past too that have felt too uppity and all that. Someone help me with the word I’m looking for. Since we are halfway to the season, how’s the progress of TAR 26 in your overall seasons? Are you going to reassess your season, team and winner rankings in your next wrap-up? I do try to switch around my wrap-up rankings sometimes depending on how I feel after each finale. As for TAR26, I think it’s just a middling season, likely to be bunched together with the TAR18-TAR23 seasons. Not horrible, but definitely nothing special. How about your all-time favorite teams? Did you remove someone? Hmm… I don’t think I’ve ever removed any teams. I usually just add new ones into the list and move them around depending on how I feel at that moment. You did remove Don & Mary Jean (TAR 6) and Dan & Jordan (TAR 16) to your list. While I am the ones to remind you of Ken & Gerard (TAR 3) and Kelly & Jon (TAR 4).